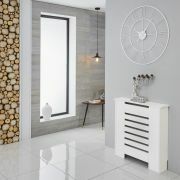 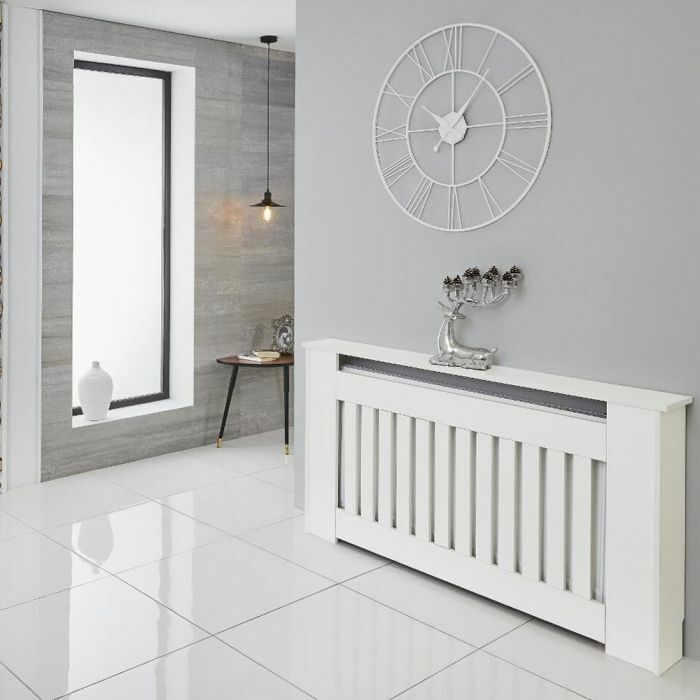 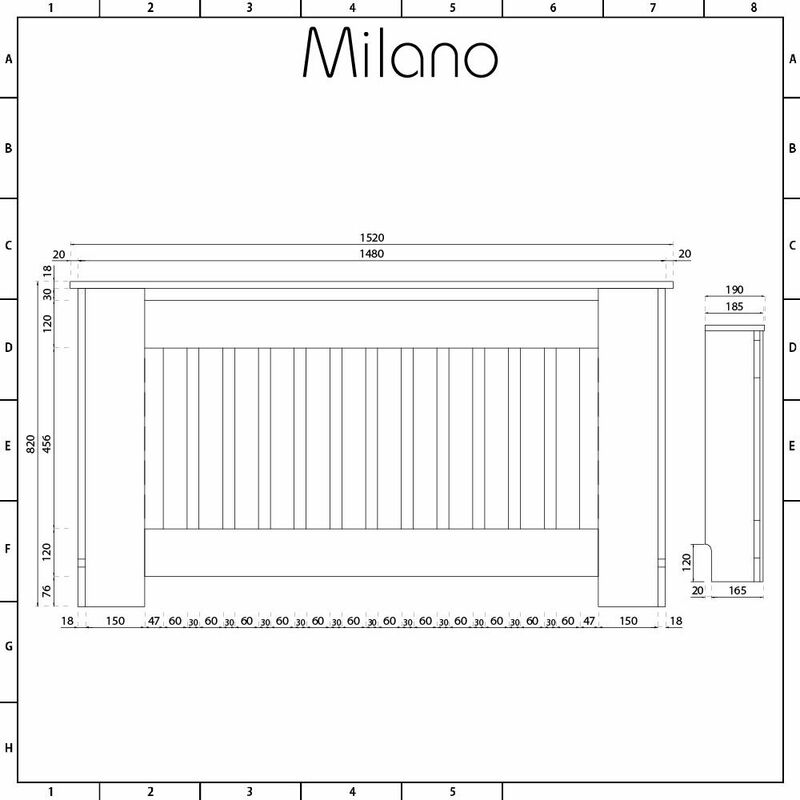 The Milano Ealing 815x1520mm radiator cabinet provides a stylish way to keep your radiator concealed and protected. 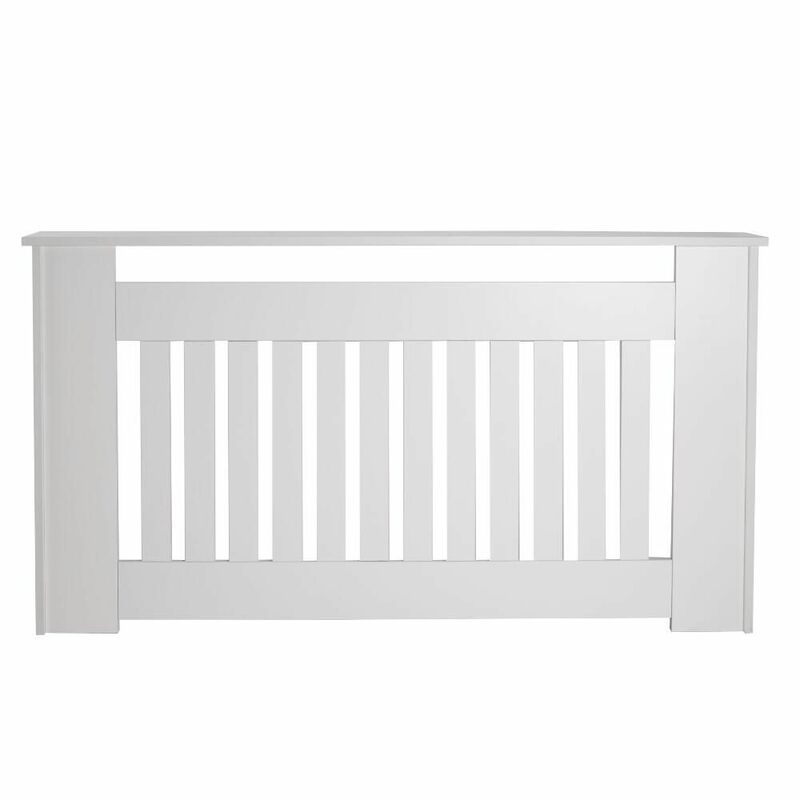 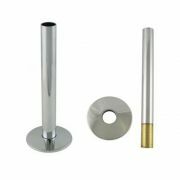 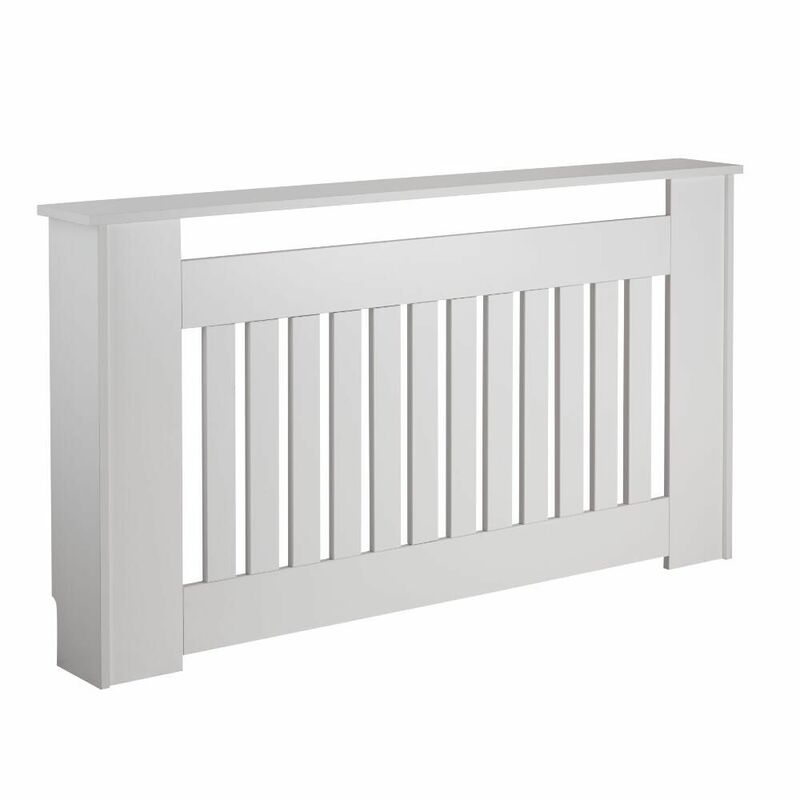 Made from MDF, it features a white finish and a modern design. 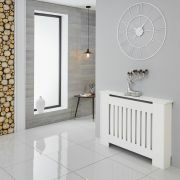 The radiator cover also has a handy shelf that can be used to display ornaments and other decorative objects.